Even cyclists drive cars. Not all of them, obviously, but the majority do. 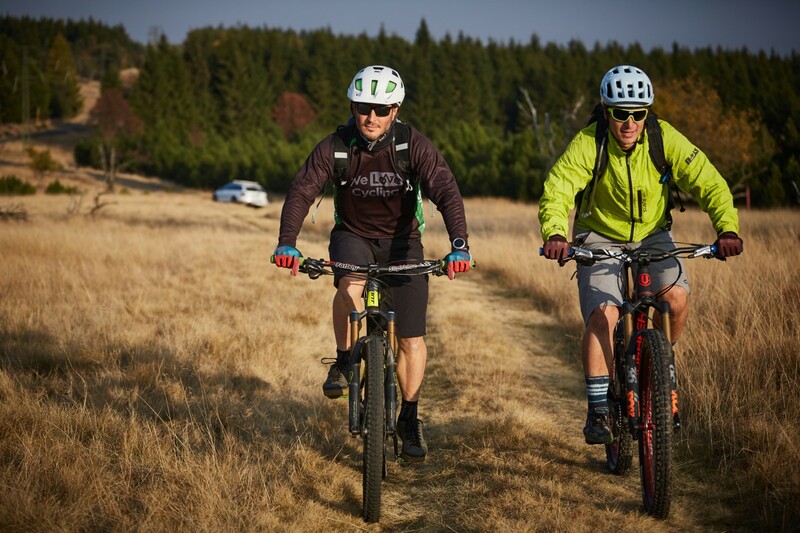 Sometimes they cover long distances to enjoy a holiday in the Alps, other times it’s just a few kilometres to hit the trails after work without losing precious time cycling in traffic. Driving is a comfortable and fast way to get to the start of the trail where the real fun on a bun begins. 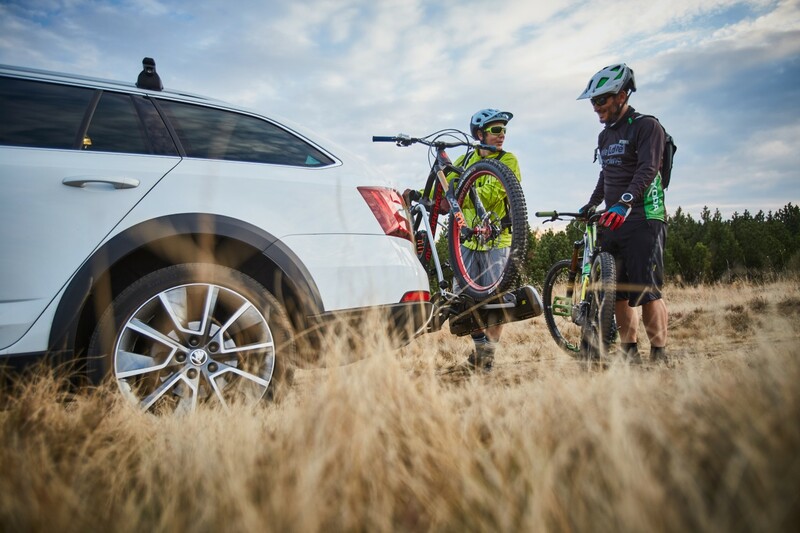 Car is quite an important tool for cyclists, so it comes as no surprise that they only choose models that can meet their high demands. Cyclists need cars that can accommodate both them and their bikes and take them to their destination even if it’s off-road. That narrows the choice quite a lot. A van is not really suitable for city driving, but it probably won’t do well off road either. On the other hand, full-blooded off-road cars are not an ideal choice for longer distances, as they offer less comfort, are slow, and get poor mileage. 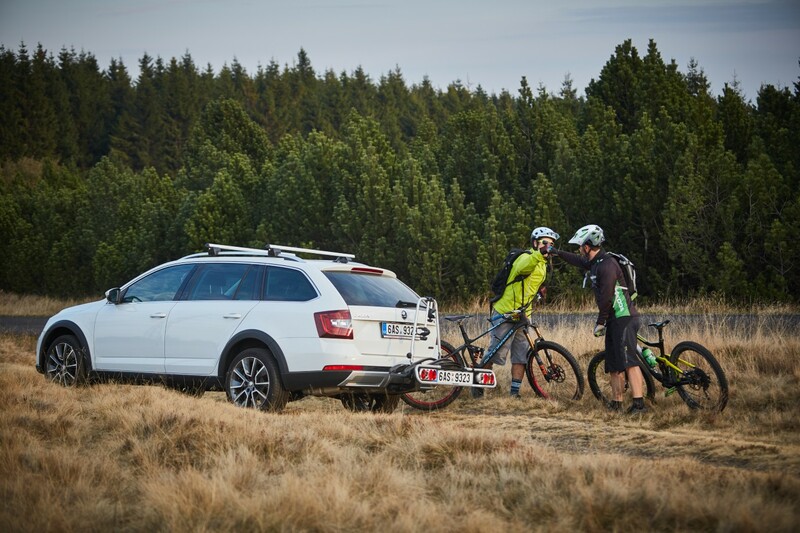 ŠKODA OCTAVIA SCOUT 4×4 combined with a bike carrier mounted to a tow bar seems to be a good way to go. We don’t want to deal with all the ins and outs of various engine options or enumerate all the optional extras; that has been done well by our colleagues from car magazines. We want to find out if OCTAVIA SCOUT has what it takes to serve as a universal car for cyclists. When OCTAVIA hit the market, it was not a revolution, but Czech drivers took an immediate liking to the car of their domestic brand, and their European colleagues soon followed suit. OCTAVIA became a practical family car. Soon taxi drivers too discovered its charm, and so this mid-sized Škoda model could pick you up at airports from Barcelona to Tel Aviv. Especially the 1.9 TDI engine has become a legend, clocking up nearly a million kilometres. Facelifted in 2007, the second-generation Octavia Combi featured a 4×4 wheel drive version with an increased ground clearance and plastic cladding to protect the bodywork. 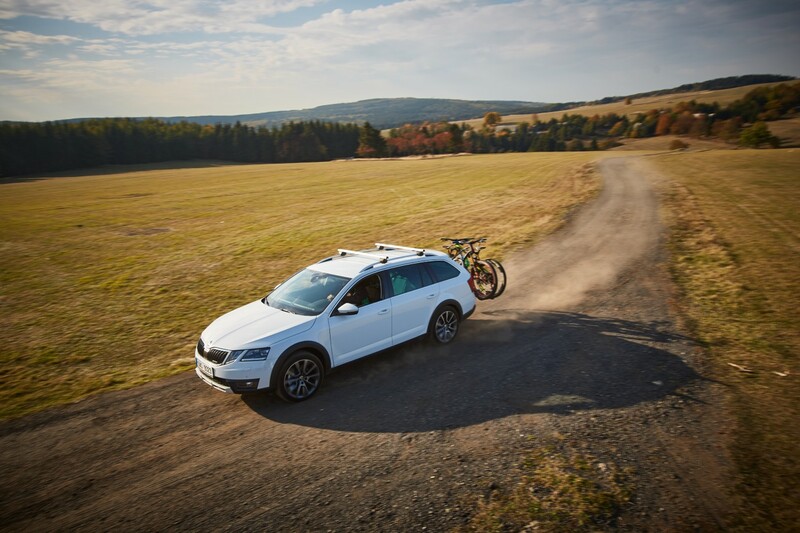 Preceding the YETI, KODIAQ and KAROQ models, it became the first Škoda car to venture off-road. 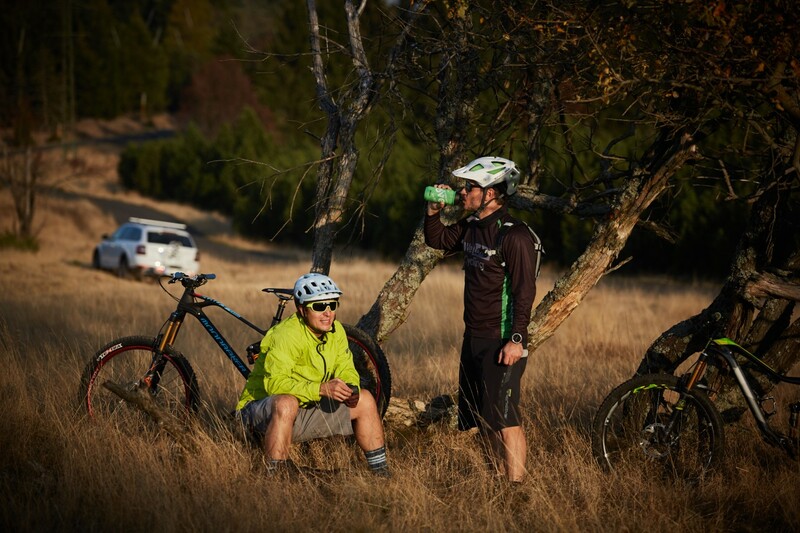 From day one, SCOUT has won the sympathies of people who like to spend their free time in nature because it is able to get them there with all their bikes, prams, surfboards, snowboards, wakeboards, and other fun stuff for leisurely activities. The latest generation of SCOUT arrived in 2017 with a facelift of the third-generation OCTAVIA. The car features LED strip DRL, stylish inscriptions on the door sills and originally designed interior decorative mouldings. SCOUT logos appear on several other places, such as the steering wheel. The model gives an impressive look of an executive car although it’s not the case. We want to go biking in the mountains, so we head to the rear of the car and mount a bike carrier from the Škoda e-shop. The manual says it takes about five minutes, but in fact it can be done faster. If you want to open the boot, just use the lever lock to release the carrier and push it aside. OCTAVIA’s boot is known to be one of the most spacious in the class. 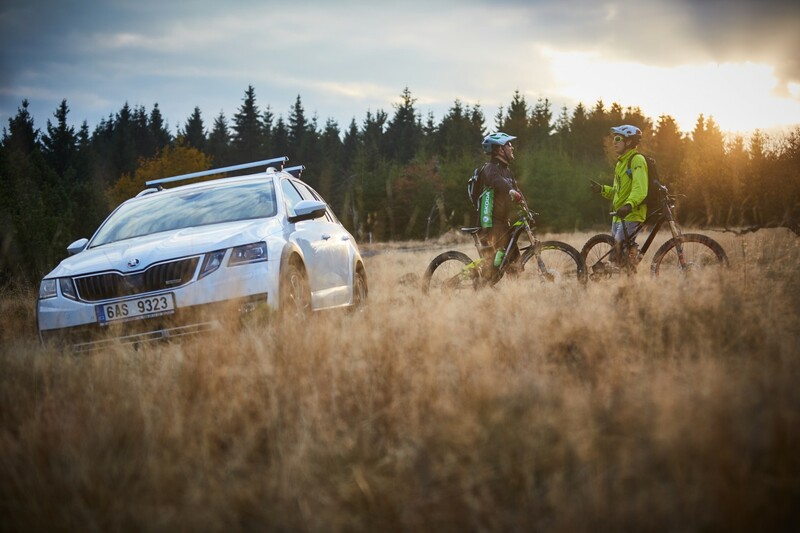 If you come back covered in mud from your rides, consider equipping the boot with a washable plastic dish by ŠKODA Genuine Accessories. After loading our luggage, we move the carrier back in the place same way we had pushed it aside and mount two medium-heavy freeride bikes on the racks. They weigh about a third more than road bikes, but the carrier seems to do just fine. The manipulation is fast and easy. As is customary with well-equipped Škoda cars, the door has a keyless entry system. All you have to do is carry the key in your pocket, grip the handle, and the door will unlock on its own. As our hands are often full of stuff before hitting the road for a ride, this is a minor but most welcome addition. Dressed in sportswear, we get in the suede and leather seats. There is a big 9.2” touch display shining in the middle. 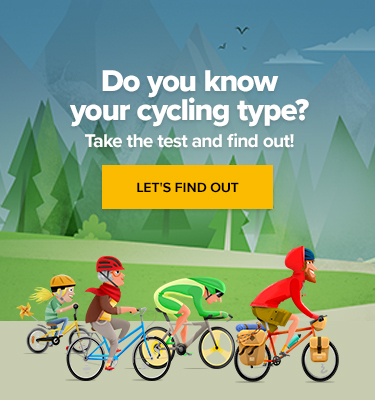 The automatic transmission version is an ideal choice for cyclists. If you don’t have to deal with the clutch pedal, driving in cycling shoes with metal cleats is less of a nightmare. The seats feature electric adjustment with memory and heating. After an all-day ride in the November weather your back will surely appreciate some warmth. The dual-zone air conditioning allows all cyclists aboard to adjust temperature as they like. Connecting to mobile phone is fast and comfortable. Voice control works well. After you’ve reached your destination, the car will remind you not to forget your phone in it. The map pockets in the doors are cleverly shaped, which makes them suitable for storing a bidon. What’s more, bottle holders in the centre console allow you to open a PET bottle with just one hand, without the need to hold it. Contrary to the previous generation, the gearshift paddles placed under the steering wheel are gone. If you want to shift manually, you have to switch the gear lever to the S mode and choose gears by moving it forward and backward, as you’ve seen it in the cockpits of WRC racing cars. We start the car using a keyless ignition system and follow the motorway to the mountains. Even with roof racks on top, we can hear no aerodynamic noise in the car. The two-litre TDI engine with a power output of 135 kW seems to be an ideal choice. 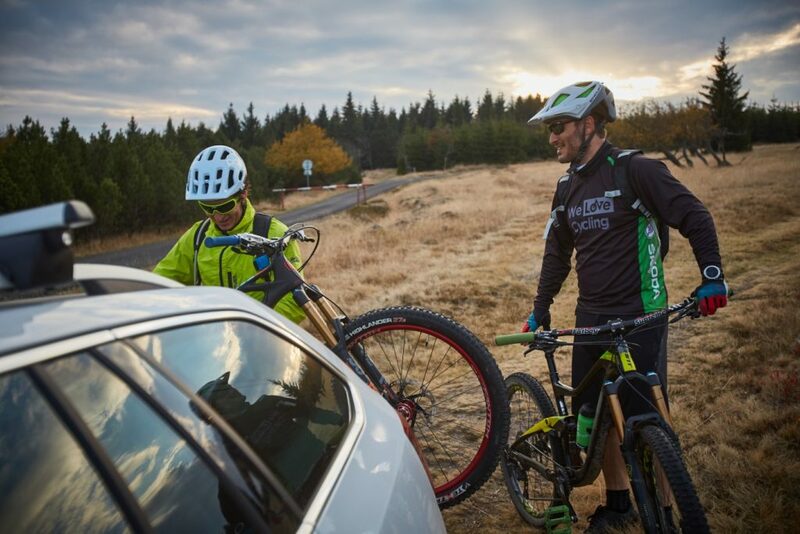 Even though the car is fully loaded, with roof racks on top and a bike carrier in the rear, its dynamics stays the same. Accelerating quickly gets us to the road speed limit. The four-wheel drive makes for smooth cornering, as it engages both front and rear suspension when needed, the rear suspension being multi-link with all SCOUT models. You’ll particularly appreciate the comfortable and precise driving after a 60km bike ride when all you want to do is get your tired body home. That’s when you’ll make use of modern features such as the lane assist that will enhance your safety. While environmentally conscious drivers can choose the Eco mode to reduce fuel consumption, those in a hurry can opt for the Sport mode. Up to this point, a regular OCTAVIA would suit our purpose, but the SCOUT can’t wait to venture beyond the city limits – that’s where it can really show what it’s got. SCOUT’s ground clearance is exactly 33 millimetres higher. You may think that just a little over 3 more centimetres can’t really make much difference. But they can! Higher ground clearance significantly increases approach angles. In case you misjudge the situation and decide to go over a step that would be too high for the car to negotiate and would threaten to hit the bottom of the bumper, the electronic assist system will throttle back. Surprisingly enough, the rear bike carrier doesn’t limit the car’s manoeuvring abilities, as it is mounted high enough. What’s more, you can always see the carrier in the parking camera, so you can drive safely without worrying that you’ll hit an unpredictable obstacle with it. If you follow basic off-road rules, you can drive in mud- and snow-free rough terrain. Even if you make your way over rocks, roots and holes, you won’t hear any bumping sound from under the car. Of course, you’re not driving a Dakar truck and you’ll have to slow down a lot at places, but if you take it easy, you’ll be surprised at how many obstacles you’ll be able to overcome. For steep descents, the off-road assist is a great help, as it automatically slows down to minimum speed without the need of braking. This is where the rubber meets the road: The SCOUT will get you through places that would make you give up, rethink your course and turn around with a regular car. That’s something you don’t want. 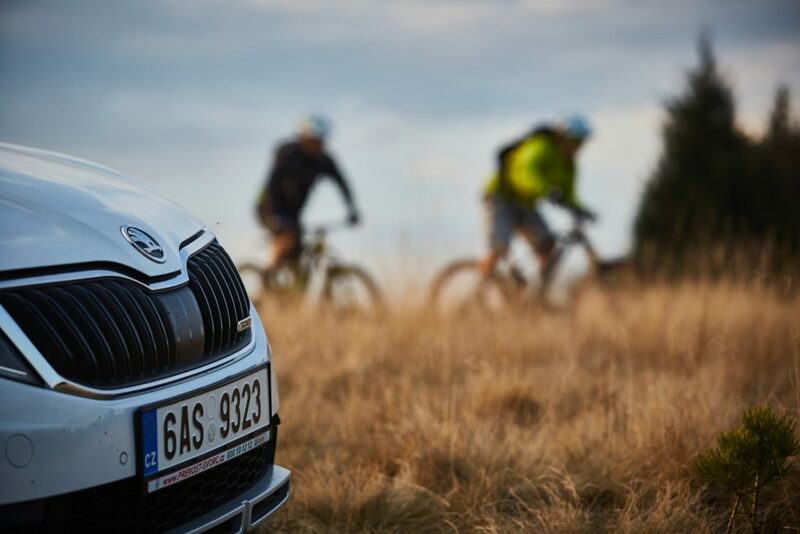 A week with the Škoda SCOUT 4×4 was enough for us to take a liking to it. Some cars are nice to drive a few times because they are powerful, fast, with roaring engine, or simply because you like their looks, but you don’t regret giving them back. The SCOUT is a car you want to keep because it has all the features that come in handy. Not just for cyclists. Christmas Research – Why Are Wine Glasses Bigger Every Year?